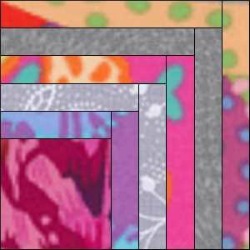 Repeating one block generates a 3D effect in this stacking squares quilt. I was inspired by a fabulous quilt I saw on Pinterest. 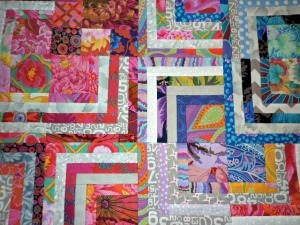 I then goggled the name 'Stacking Squares Quilt' and found a lot of fabulous quilts based on this theme. 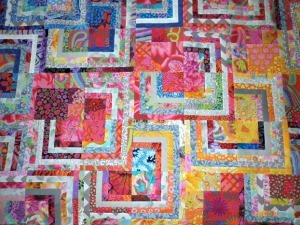 What's a girl to do when shown so many lovely quilts? 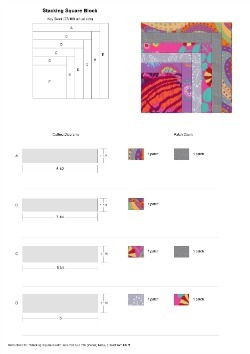 Delving into my remaining Kaffe Fassett scraps (I now have almost none left) and cream tone on tone fabrics, I drafted up a block pattern in EQ7 (free download below). 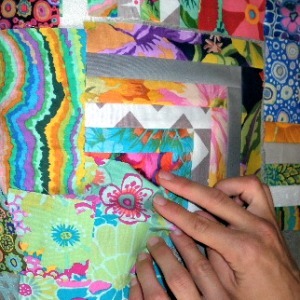 The main block in this quilt is a quarter log cabin block. After quickly making a couple of trial blocks I wasn't thrilled with the result - something just wasn't quite right. My daughter spotted it and told me to use my greys instead of cream for a more modern look - it's great having a talented colour person in the family!! It took a few days to quickly assemble about 50 blocks. I used a wee bit of spray starch when pressing each completed block so that the blocks would lay flat when arranging them into a quilt top. 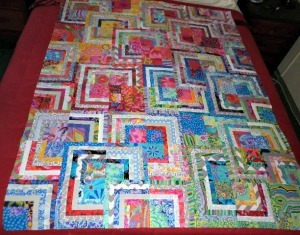 Each block finishes at 6 3/4" square. 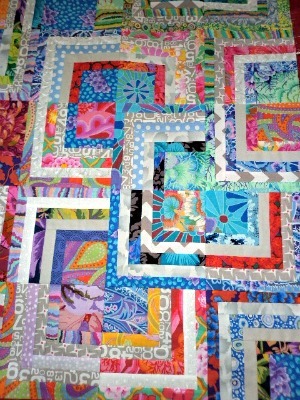 The two blocks I used to make this quilt are below. 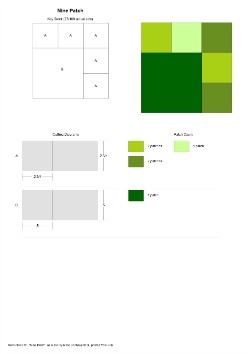 Arranging the blocks into a stacking format is fairly straight forward. You place 3 blocks together to form 3/4 of a square adding the 4th block with a 90, 180 or 240 degree turn. It ends up looking like there are squares stacked on top of one another - hence the name! 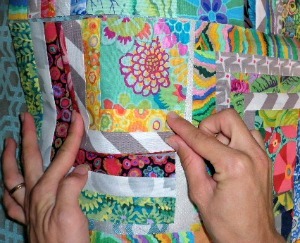 I have added a few close up photos of the quilt showing how I did this. After laying out all the blocks my daughter and I realised that something wasn't quite right. Sorry I have no photo of that layout. There needed to be a bit of relief from all the busy blocks with such bright colours. 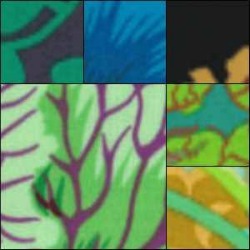 You will notice in the photos above a couple of nine patch blocks to act as my break. When Katherine and I laid out the blocks they were able to be colour graded which was a nice surprise. 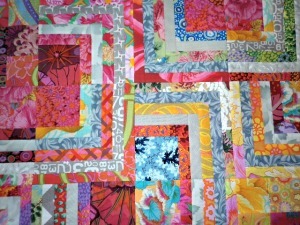 I certainly hadn't planned this as all my blocks were made using random fabric & colour choice. 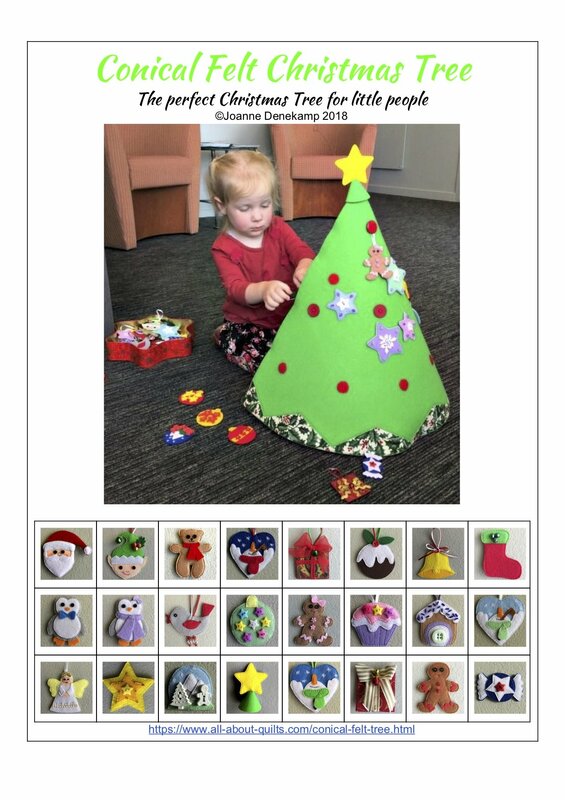 We needed to make about 4 wee fabric swaps within the completed blocks for this to work well. Below are a few close up photos of the swaps we decided to make. 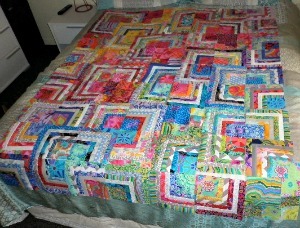 Click here to view the first quilt I made using Kaffe Fassett fabrics. 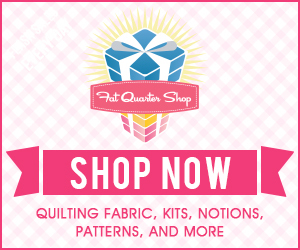 Kaffe Fassett has a great website and his fabrics can be found at most quilting shops.